TRASH NITE: TRASH NITE presents SUPERZEROES! If you're like us, you enjoyed The Dark Knight Rises and The Amazing Spider-Man but couldn't help but feel that they were too polished, too seamless, too blockbustery for your taste in superhero films. 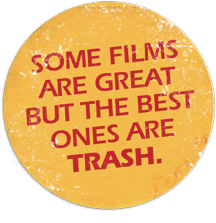 Well, wish no more, because we're bringing you SUPERZEROES, a Trash Nite special presentation! 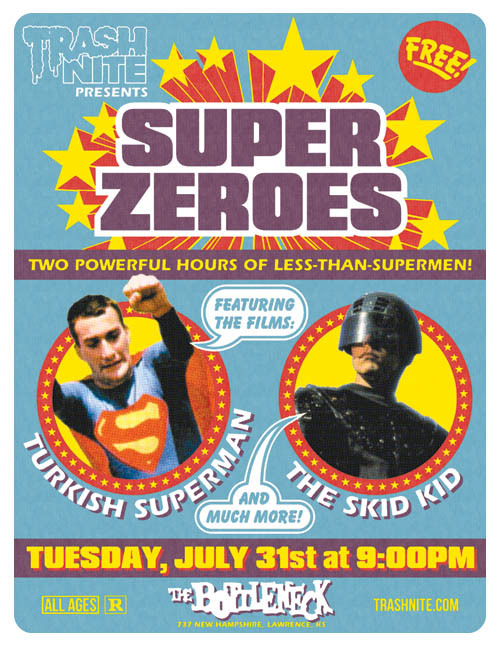 It's two hours of no-budget super-shenanigans, featuring condensed versions of the films The Skid Kid (1991) and Turkish Superman (1979), all put together in the style of a mid-80s local TV broadcast, complete with superhero-themed commercial breaks. All ages are admitted and it's absolutely FREE! All you have to do is show up!